When it comes to maintaining and servicing the transmission in your diesel car or truck, there are several tasks you can tackle such as changing the transmission fluid or filter. You can also buy a repair manual for your diesel vehicle from Chilton or Haynes that will walk you through some basic transmission related repairs you can make yourself. The above isn’t as easy as it sounds and requires specialized equipment and know-how. And if the problem is unknown or the damage more severe that you can handle, you will need the services of a transmission shop that works on diesels. 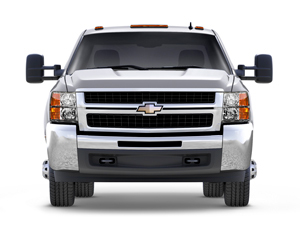 Diesel engines and gasoline engines are considerably different and so are the transmissions each uses. Not all transmission repair shops and service centers have qualified mechanics that specialize in diesel repair. Choosing one that does should result in quicker repair times with more satisfactory results. Before choosing a diesel transmission repair specialist, get price quotes from two or three shops in your area. Ask around and see who has a good reputation for doing great work at a fair price. After your difficulty is diagnosed, and depending on the cost to service your transmission, you can get it repaired or rebuilt, or it might make more sense to have a replacement transmission installed. At Denver Transmission, we stand behind all our work with a two-year unlimited mileage warranty on all repairs. We aren’t satisfied until our customers are satisfied.